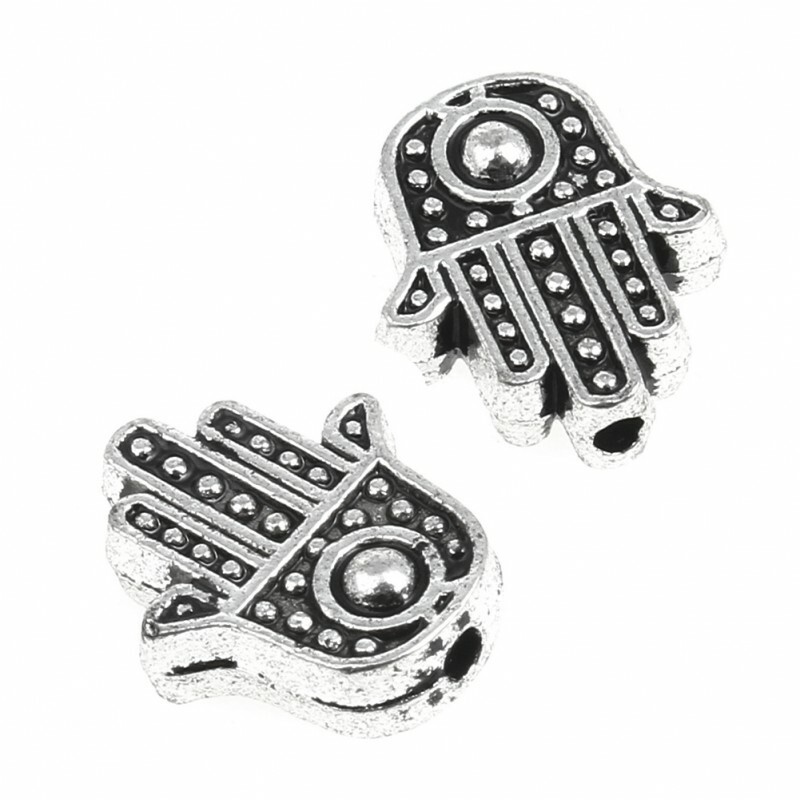 Metal finding of Fatima's Hand (Hamsa). 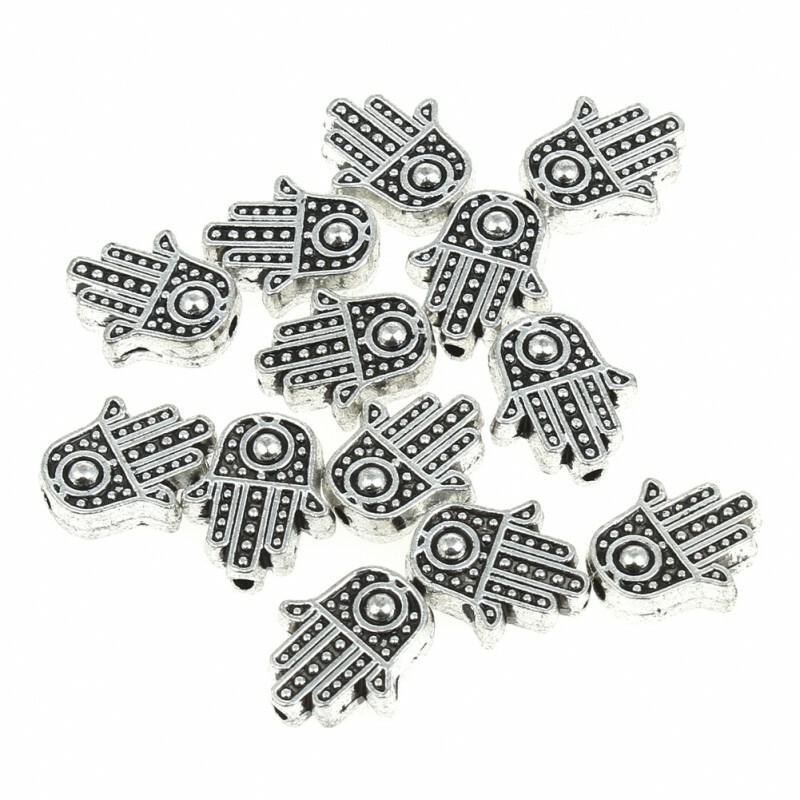 This is a bead made with a zinc alloy in antique silver color, that measures 10 x 12 x 3 mm and is shaped as the Fatima's Hand, also called Hamsa. Packaging: bag of 20 grams with about 16 pieces.